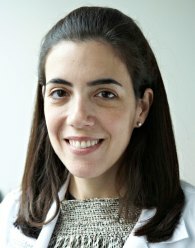 Dr. Samantha Cohen is an attending physician in Gynecologic Oncology at the Maimonides Cancer Center in Brooklyn. Dr. Cohen’s research activities include being a founding member of the Ovarian Cancer Translational Research Program that began at Mount Sinai Hospital, and now is a multicenter consortium. . Dr. Cohen began a gynecologic oncology program at the Maimonides Cancer Center in 2011. 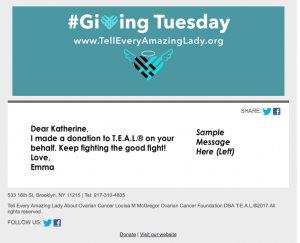 This program has now become an important part of cancer care for women in Brooklyn and the neighboring communities. As a gynecologic oncologist, Dr. Cohen specializes in the diagnosis and treatment of gynecologic malignancies, such as uterine, ovarian, and cervical cancer. As part of the Maimonides Cancer Center team, a truly collaborative and individual approach is applied toward every patient. Dr. Cohen also specializes in minimally invasive surgical techniques, including laparoscopic and robotic surgery, treatment of cervical dysplasia, and management of complex non-malignant gynecological conditions. For her full bio, visit our Board Members Page. Welcome to the T.E.A.L. Team, Dr Cohen!